This power managed surge protector allows you to automatically power on/off devices on 4 "slave" outlet following the on/off of the device on "master" outlet. For example, connect TV to the master, and DVD player and cable box to slave. When TV is turned on or off, the device senses it and turns on / off the power of the slave outlets, thus stop consuming standby power of peripheral devices. 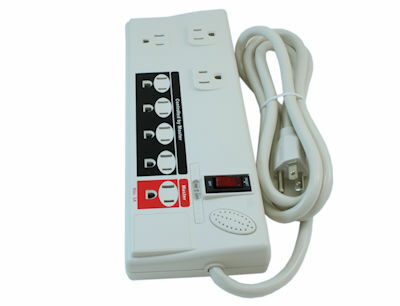 There are 3 transformer spaced "always on" outlet for devices such as fax or internet modem/router.